Awesome new MOLDED Folio only for Mini 4. Compatible with iPad Mini 4. ID window on back panel. Rubber Feet on back panel. Flanges added on right edge of back panel for stability in folio viewing mode. Inner-cover ridges ‘Nest’ inside screen concave for a perfect fit every time. This prevents any sliding, shifting that may activate auto-sleep magnets. Combination of soft, flexible rubber combined with rigid inner PolyCarb shell and hinge support. PU Skin inlay on front of folio cover with PIVOT logo (like the current models). Improved viewing positions. (work with new flanges on the Case Back). Air circulation and venting is enhanced by the unique shell design only PIVOT offers. ONLY 18% of the tablet surface contacts the back panel of the PIVOT Mini 4 case compared to 28% on the Air2 case. This further reduces heat transmission from external sources to the iPad – virtually eliminating potential for thermal shutdown. Reviewed and approved by the FAA. Airlines can commence EFB operations with Pivot mounts and suction cups while vetting STCs. Avoid lost time due to cockpit setup with the quick and easy PIVOT mounting system. Connect and adjust in only seconds. Pilot tested with millions of block hours logged and counting, PIVOT continues to set the standard in EFB cases and mounts. Hardened Polycarbonate shell for corner and drop protection from every angle to keep devices safe in any environment. Accessory ports, buttons, speakers and screen areas are protected from light spills and splashes or other contaminants. Extremely lightweight, thanks to advanced materials and design. PIVOT’s unique, patented mounting system provides one-handed adjustability with a full range of tilt and rotation angles. With PIVOT’s audible engagement, be confident when hearing the “Click!” your connection is locked in place. Upgrade your PIVOT knowing your mount will never be obsolete. 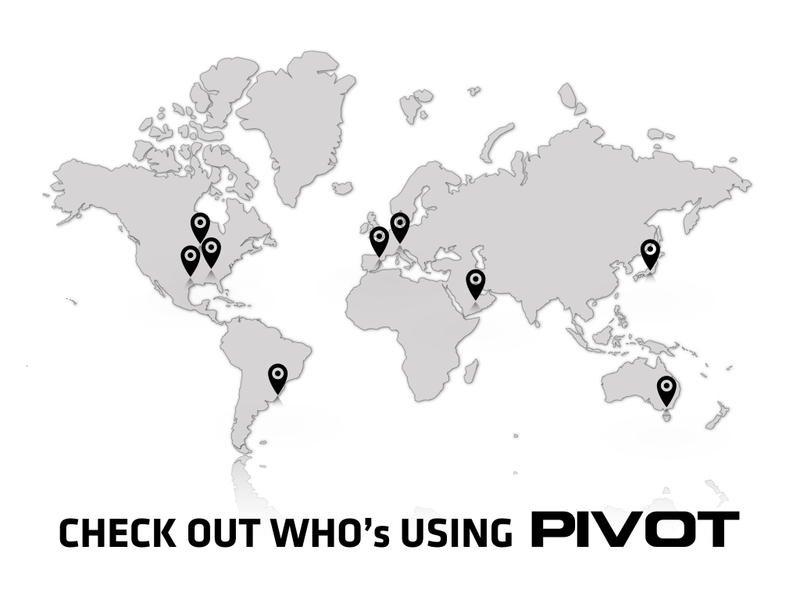 PIVOT’s standardized mount supports current and future devices. For pro tips regarding button cover replacement, watch this video.